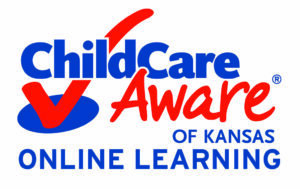 Child Care Aware® of Kansas strives to ensure that families have access to affordable, high-quality child care. We lead projects, support trainings, and advocate for positive changes that impact the lives of children and families. All communities across Kansas value and support early childhood development. Increase Advocacy Efforts that Impact Quality, Accessibility and Affordability: Identify and solve issues with the supply, demand, cost and quality of child care in Kansas through advocacy efforts. Improve the Quality of Care and Education: Promote professional knowledge and skills for child care professionals and programs through professional development, resources, and technical assistance. Build the Supply: Respond to gaps in the child care market by supporting recruitment and retention activities and by developing community partnerships. Increase Family Awareness: Ensure that families have the information they need to make informed choices about all aspects of care for their children. Enhance Employer Engagement: Support local CCR&R efforts to engage the business community as a partner in supporting child care and the needs of their employees.